AMC Theatres is dedicated to innovating the way you see movies. 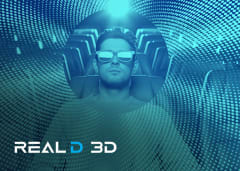 Don’t just visit a theatre; experience the AMC difference of premium formats that bring you superior acoustics, richer imagery, and a choice between Real D® 3D, Dolby Cinema®, and IMAX® technologies. Taste our special menu of elevated cinema favorites and enjoy bolder flavors, wider variety, and superior quality movie snacks. In select locations, reserve your seats when you purchase tickets online and relax into the spacious comforts of our AMC luxe recliners. 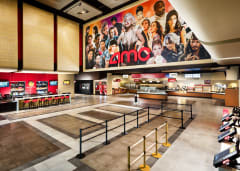 Come enjoy the very best of cutting-edge entertainment when you choose AMC Theatres. 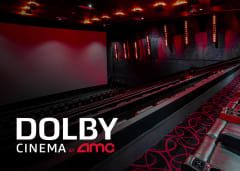 Dolby Cinema turns your movie into a state-of-the-art cinematic event. A million-to-one contrast ratio and ultra-vivid colors transform your viewing experience. Moving audio technology moves sound around you, even above you. Spacious, reserved seats reverberate with the action. Your movie will seem so real, you’ll forget you’re in a theatre. Bigger is just the beginning. 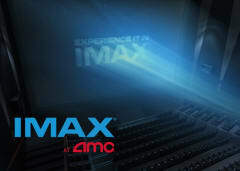 Heart-pounding audio and awe-inspiring images make IMAX an immersive experience. Enjoy the best of entertainment at any one of our amenity-packed AMC locations. Whether it's online reclining seat reservations, a MacGuffins Bar®, the re-crafted concession menu, or any combination of the above, there’s something amazing waiting for you. 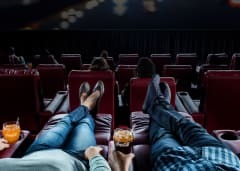 We’re rolling out epic updates and innovations to tons of our theatres, including AMC Signature recliners, MacGuffins bars, updated food and drink options and more. 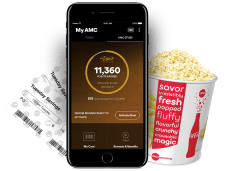 When you join AMC Stubs you’ll get great deals and freebies, rewards points and exclusive offers, all for doing what you do best‑which is love movies! Get more with membership—check out the benefits today.